AS A stock analyst with nearly two decades’ experience, Sasfin Bank’s Alec Abraham has seen a number of high-flying companies crash back to earth. In recent months, he became concerned about what he saw as an alarming shift in focus from the one-time darling of the clothing retail sector, Mr Price. “For years, Mr Price’s philosophy was to provide designer fashion at an affordable price. It got them a prime slice of that higher income market, and it worked exceedingly well,” says Abraham. He isn’t exaggerating: the company hit a sweet spot that few others were brave enough to try during the dark days of the late 1980s, when the economy was battling under PW Botha’s last kicks of grand apartheid. At the time, founders Laurie Chiappini and Stewart Cohen had returned from a trip to the US with the plan to replicate the American cash-based factory shop idea — a somewhat radical proposition, as the dominant idea at the time was of a retail sector led by the likes of Edgars pushing credit. In the end, what Chiappini and Cohen succeeded in doing was to launch one of SA’s great retail success stories. Shoppers flooded stores, seeking out Mr Price’s “on-trend” clothes which aimed to make “catwalk fashion accessible to customers at highly competitive prices”. And investors made a killing. 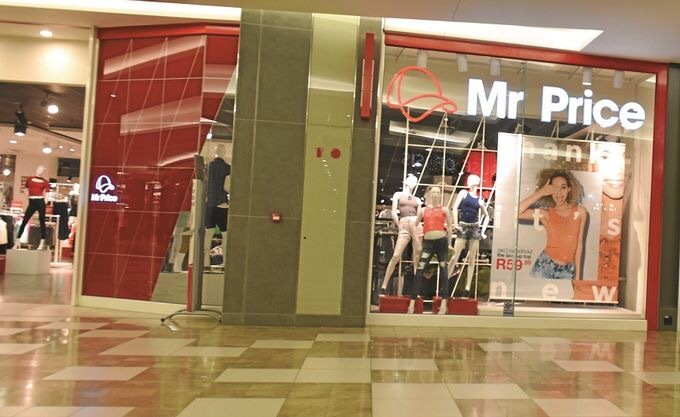 In the past decade alone, Mr Price’s stock has provided a total return, including dividends, of 513%. For those who invested R10,000 in 1989, they’d now have R4.5m. Yet despite this fantastic start, Mr Price seems to have lost its lustre. Its harshest critics think the company has lost its mojo. “It seems to me,” says Abraham, “that Mr Price’s merchandise has become more mainstream. Sure, they’ve got more of the young, emerging black middle class into their stores, but they’ve lost a little bit of their differentiation, and alienated their higher-income customers”. Such a step down would be risky, exposing a retailer to customers who are more at the mercy of a faltering economy. To add to the pressure, a number of hot-shot foreign retailers have opened shop here, among them the Australian brand Cotton On, Sweden’s H&M and Spain’s Zara. These have struck a chord with shoppers. Predictably, Mr Price’s brass disagreed with Abraham’s view. Though the company says its philosophy hasn’t changed, there certainly appears to have been a shift on the store floor. Posted on February 8, 2016, in #retail, #southafrica, Other. Bookmark the permalink. Leave a comment.